Dermacare Medispa Glow Facial Review | beauty. bikes. If you’ve been in Raffles City lately, you might have noticed an ongoing roadshow by Spa Club & Medispa promoting packages and trial sessions for Spa club @ Beach Road and Dermacare Medispa @ Raffles City. 3. The flexibility – I could choose between spending my sessions on either of the following: Dermac Gentleman’s Facial, Dermac Glow Facial, Destress muscle, Anti-cellulite treatment, Polynesian noni body wrap or Brazilian propolis body wrap. I was also able to bring a friend to use the sessions under my name. I brought my best friend Andrea, who was visiting from the US, for a birthday facial, and here’s my review, and some feedback from her too. We booked in for the “Dermac Glow Facial”, which was a basic but full facial treatment which also included the eye area. 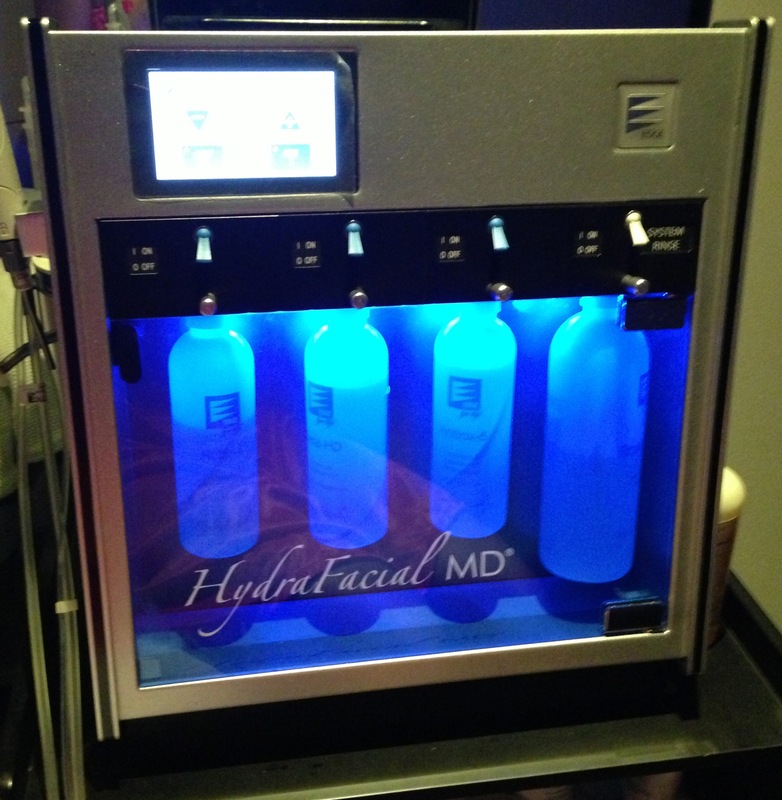 Upon arriving and filling up their registration forms, they showed us their Hydrafacial machine which is used for the special Hydrafacial Facial which they priced at almost $300 per session. Although I’ve heard so much good stuff about HydraFacial, and Andrea had tried it before, it was way out of my budget for a facial. Maybe next time, at the aesthetician! We then proceeded to our rooms for the facial. The rooms aren’t big and although they have one larger couple room, we got individual facial rooms. My room was the HydraFacial room which was next to the entrance of the spa. Honestly, the facial bed and pillow was rather firm and not comfortable to lie on. The walls were also very thin and I could hear the external music from the shopping mall, footsteps in the corridor and all the conversations in the reception area. The hard pillow! Wish they used something more plush! The facial started with a deep cleanser which was slightly irritating on the eye and lip area, but once it was washed off it was fine. The sponge that my therapist used was very fluffy and thick, which felt very comfortable and luxurious on the skin. The next step was the scrub, followed immediately by extractions. There was no steaming before extractions, which they claimed were because the scrub was enough to soften the skin and open the pores. However, the extractions we still slightly painful, and she did forget to do a row on the side of my nose. After that was done, it was time for the mask and eye treatment. The massage that was given was good but I wished it was longer. When I asked Andrea about her experience later, she told me that her therapist left her mask on for so long (close to half an hour) and left the room, till she was so uncomfortable. That was really weird but we didn’t raise the matter with the counter staff as we were both dying to run to the bathroom after the facial which was close to 2 hours! The bathroom is down the corridor, so it’s quite a hike and not very convenient if you’re midway through a treatment. For the price I paid, I think it’s reasonable. But if they’re going to charge full price or anything higher, I think they definitely need to up their game by training their therapists further and possibly making a bit more improvements make the rooms more comfortable. Other than the small area that was missed for the extractions, the rest of my skin felt good and balanced. Did it have the “glow” afterwards? Well, my skin did look bright and fresh, and felt clean and firm!